Former Olympic athlete, Oscar Pistorius, removed his prosthetic legs to attend a courtroom in Pretoria, South Africa on Wednesday. A verdict for the murder of his girlfriend, Reeva Steenkamp, will be announced on July 6. He could face up to 15 years in jail. After Pistorius had appeared in court wearing a T-shirt and sports shorts, he made a stop to remove his prosthetics, before continue walking. His attorneys have requested the judge to sentence the South African runner to community service instead of prison. Minimum jail sentence for murder in South Africa is 15 years, although prosecutors could reduce the impact of charges. Pistorius’ attorneys said there are “compelling” circumstances in the case, and the man should be allowed to engage in community service with children. The case was interrupted on Wednesday by Judge Masipa, after three days of hearing. Pistorius, who is named by fans as the Blade Runner, has earned eight medals at the Paralympic Games. 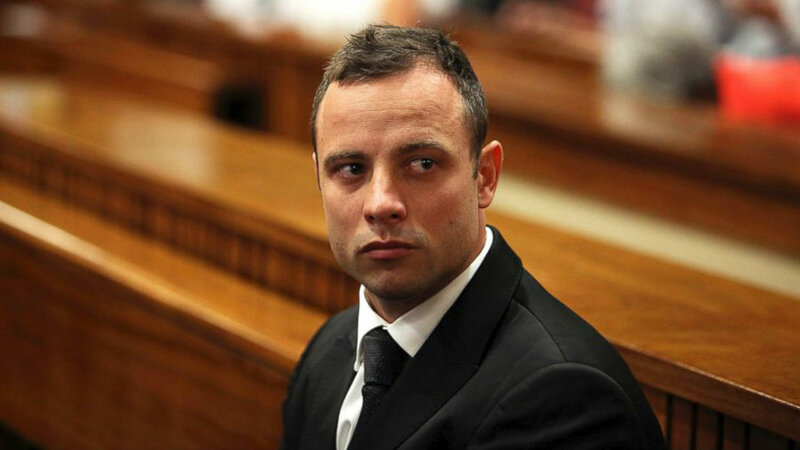 Pistorius has already faced one year in jail for an initial manslaughter conviction in the shooting of Steenkamp. Earlier, he was convicted again by the Supreme Court of Appeal. He is currently under house arrest, according to The Associated Press. The legal battle continues after three years: Is the Olympic champion going to jail again? In 2014, the sprint runner was convicted for killing her girlfriend Reeva Steenkamp, a South African model and law school graduate. On Valentine’s day 2013, the man shot her through a closed door at his home. He reportedly thought she was an outsider, and acted in self-defense. On that time, a South African judge sentenced Pistorius to five years in jail, saying that he had not intended to kill the person behind the bathroom door. After one year behind prison bars, the runner was released on parole. Since October last year, he has been under house arrest in the mansion of an uncle, according to The Associated Press. Fiscals have appealed to the Supreme Court, arguing that the man who has competed at able-bodied sprint events, should be declared guilty of murder. Fiscals stressed that he intended to kill someone when he shot four times with a 9mm weapon, regardless of whether Steenkamp was inside the bathroom or not. The Supreme Court decided in December to follow prosecutor’s orders and sentenced the athlete for murder. “The accused ought to have been found guilty of murder on the basis that he had fired the fatal shots with criminal intent,” Supreme Court Justice Lorimer was quoted as saying by The Associated Press. Analysts suggest that Pistorius would face less than 15 years in jail if the judge takes into account his disability and that he has already spent a year in prison. The six-gold-medal winner was planning to end his career as a runner at the 2016 Paralympic Games in Rio de Janeiro. Pistorius Lawyer Barry Roux said the court should judge Pistorius as a double-amputee instead of a world-class athlete. He also added that his client “gets anxious very easily” when he faces a dangerous situation. “The accused has lost all of his assets and his career is gone. The accused can never, ever resume his career. The accused has punished himself, and will punish himself for the rest of his life, far more than any court of law can punish him,” Mr. Roux was quoted as saying by the NY Times. Chief Prosecutor Gerrie Nel said that Pistorius has not shown remorse about the case and criticized his interview with ITV News, saying he should have notified the court about it. He requested the court to take a decision without following public opinion. Oscar Pistorius brother, Carl Pistorius, told ITV News that declarations given by Steenkamp’s father were “devastating.” However, he remained loyal to the idea that the star athlete is not a murderer. Mr. Steenkamp had not previously attended a court to declare about his daughter due to health reasons. He stated on Tuesday that he thinks about Reeva every “morning, noon and night,” as reported by ITV News from England. He added that Pistorius has to pay for his crimes. On the other hand, Carl Pistorius declared he is worried about what Reeva’s parents believe. He remarked that “there is no evidence to support” that the runner had intentions to shot at the model and TV host. #OscarPistorius Nel: Mr Roux says the accused punishes himself. How? According to Roux, some people are refusing to “look at the objective facts” of the case. Pistorius has been criticized for offering an interview to ITV, since he decided not to testify at the sentencing hearing, said the New York Times. The interview will be aired on TV on June 24. Mr. Nel told the court that Pistorius was receiving treatment for depression and anxiety in 2013, but apparently did not want to get better, since the tablets were intact. The hearing ends on Friday, while the verdict will be announced on July 6.